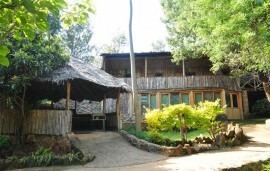 The Boma Hotel in Eldoret is a four star hotel and conference center. 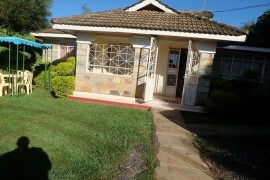 It is an ideal location from the Airport and the Eldoret city center. 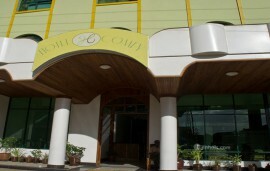 The hotel enjoys cool surroundings yet less than one kilometer from the Airport road. Guests at the Boma Inn Eldoret can eat and drink during the night and day and sleep well, knowing that they are supporting a good cause. Two governor suites, six deluxe rooms and sixty superior rooms furnished in a chic and stylish manner are what to expect here. 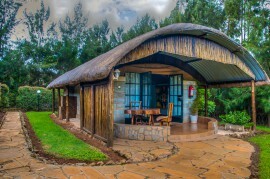 The rooms at Boma Inn Eldoret feature interactive television, wireless internet, flat screen television, iPod docking stations, coffee maker as well as minibars. The Boma has a restaurant that caters for the various discerning tastes while offering indoor as well as Al fresco dining experiences. For the business traveler, the Boma Inn Eldoret features an impressive range of conference and meeting facilities including advanced presentation of technology.The Boma Inn Eldoret offers a Conference Centre with a restaurant, business centre and a dedicated banquets coordinator. The hotel offers a choice of 5 meetings rooms and 2 Executive Boardrooms. The rooms are equipped with state-of-the-art audio- visual equipment and high-speed internet. One of the Executive Board rooms will be equipped with a smart board. The conference centre has a dedicated team and a business centre for secretarial services creating an atmosphere of style and professionalism. The Conference Centre also provides a spacious outdoor lounge overlooking the swimming pool where delegates can brainstorm during the session breaks after a long meeting. Boma Inn Eldoret has a fully fledged Offsite Catering team to cater for your functions and events.